Christine Webster was born 1962 in Karlsruhe, Germany, she lives and works in Paris. She creates sounds and experimental music for different kind of media and dimensions. Initially formed as a graphic designer she studied electroacoustic music with Jean Schwartz in the late eighties. She worked as a post-production sound engineer for Imagine and Video Adapt, both leader in foreign tv program adaptations, for documentaries and animation series. Freelancer since 2003, she produces her own music and does sound designer for independant film production like Lardux Films, Terminal Images but also for mainstream production like Folimages, Les Productions de l’Èrable and Ubisoft. She worked with France Musique, was commissioned on multiples residencies for Tapage Nocturne, as well as on CD audio books projects for Ocora-RadioFrance and collaborates with the Orchestre de Radio France. In 2006 she discovered virtual reality and social 3D plateform like Second Life and worked for a French inworld marketing company, Community Chest. She stayed on the virtual 3D platform creating her own 3D spatial compositions with her work-in-progress group called Sonic(e)spaces, experimenting EA music spatialized with gaming tools, creating virtual sound installation and sonifications for simulations. In October 2013, Christine Webster joined the ENSAD-LAB Spatial Media department in Paris, leading her flagship VR project Empty Room : an electroacoustic composition spatialised in VR, uusing binaural, object oriented sound objects and ambisonic technologies. Since October 2016 Empty Room is the center of her Phd research at CICM – Paris 8, directed by Anne Sedes. Christine Webster was also well kown in France as a writer, she reviewed during ten years about innovative hardware and software for KR-HomeStudio and MCD Digitalarti. In addition of music and research, she teaches sound design and experimental music. In 2015 she co-founded with Gael Segalen Polyphones the French experimental women composer network. Produced by Sens Fiction and Lardux Films, directed by Joana Lurie and sound designed by Christine Webster. 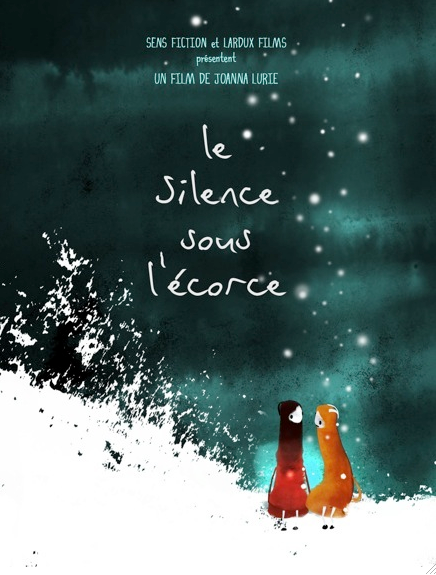 Le silence sous l’écorce was on the Oscar short list nominees 2011. The film is listed by the Development at the Conservation Center for Art and Historic Artifacts of Philadelphia among the 250 best short films in animation since 1895.